BeeCut is designed especially for video editing beginners! Everyone can use it to create a unique and stunning video instantly. BeeCut is a great video editor which offers many useful editing features including filters, cropping, cutting, rotating, and transitions and so on. Moreover, it has an intuitive user-interface. No complicated settings, you just need to finish a few clicks to make a funny short video! Come and try BeeCut to start your video creation right now! -Cut a video by frame and delete unwanted intro or outro with one click. -Support a variety of aspect ratios such as 9:16, 3:4, 1:1, 4:3 and 16:9. You can use it to create a video for sharing on TikTok, Taobao, Instagram and other video sharing platforms. -Offer lots of crafted filters which can be used to help you create a high quality movie vlog easily. -Provide multiple vivid transitions allowing you to convert photos into video fast by applying them randomly. -Add multiple background music files to video from local or internet resource with just one click! Your video will have dramatic effect and become more vivid after adding the background music that matches your video style. -Crop video by zooming in or zooming out any part of the video freely. You can show any details clearly to your viewers. 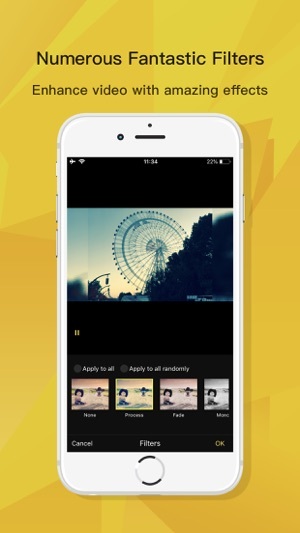 -Customize the duration of photos as you like to. After batch changing the duration of photos, you can share your masterpiece on TikTok, Instagram, etc. -Add subtitle to your video easily. You can freely customize the styles, colors, etc. of the texts according to your requirements. -Support outputting your work with 1080p, 720p and 480p. The viewers will have great experience while watching your video. 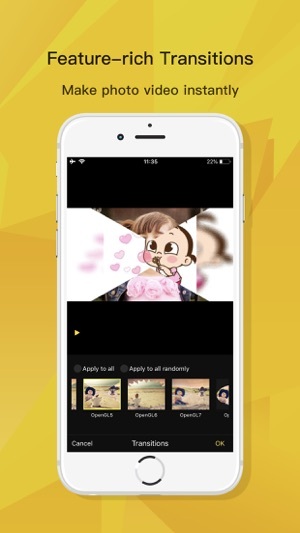 BeeCut would be one of your best choices whenever you want to cut, merge, edit a video or create electronic photo albums. Come and try it now! 2.Other bug fixes and improvements. Totally get this for editing work videos! This is a great app! But it kept crashing. I don’t know why? Can you please fix it? Great program, but very glitchy.